The history of street photography as we know it, is being rewritten. In 2007 at a local auction house in Chicago, historical hobbyist John Maloof randomly purchased a box of film negatives yet to be developed from an “unknown amateur photographer “. 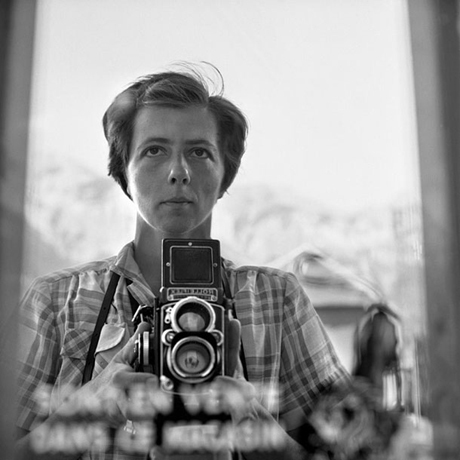 It cost him $380, a lot to spend on an unknown quantity you might say, but in doing so, he discovered one of the most fascinating and remarkable artists in recent history – Vivian Maier. She is now fast becoming known as one of the most pivotal street photographer in the 20th century, yet this 1950′s visionary was a painfully aloof and intensely secret individual. She had never shown a single photograph to anyone – not even her closest friends, yet she’d amassed some 100,000 negatives, 700 rolls of undeveloped colour film and numerous 16mm movies. A 1950′s nanny by day, she worked in quiet isolation in her attic alone at night, sorting and organising through the photographs she’d taken that day. As you’re about to see, her images of 1950s & 60s Chicago/New York are some of the most powerful & magnificent to have ever been taken during that era. Maloof sadly he found her obituary notice in the Chicago Tribune back in 2009. Having slipped on some sheet ice earlier, she suffered a severe head injury and tragically passed away aged 83, taking her secrets and wonderful gift with her. The art world and historians across America are now uniting to find out more about the intensely private women behind these extraordinary photographs. Their aim is to piece together the untold and compelling story of one of America’s most mysterious and talented visionaries.